This truly is a chic, sophisticated and trendy restaurant menu board. 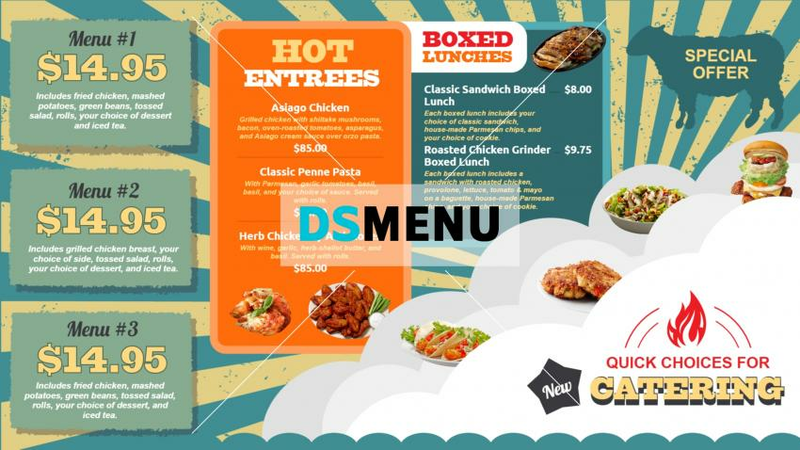 The multi-color background with square and rectangular frames, wherein the item and it’s price point is mentioned, lends a vibrant quality to the menu board. On digital signage the menu board will have a strong visual appeal for the target audience.